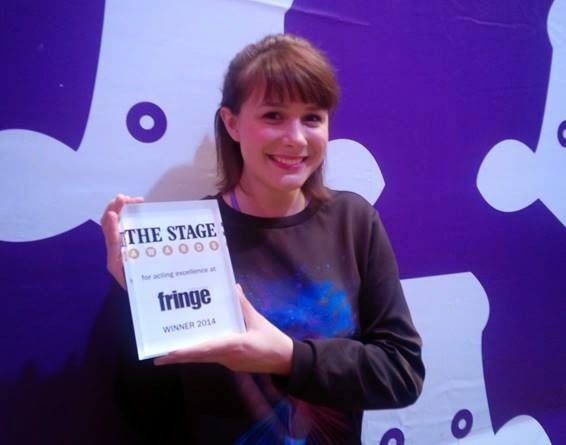 Congratulations to Rosie Wyatt who has been awarded The Stage Award for Acting Excellence for her performance in Clara Brennan’s Spine. This touching, delicately multi-layered monologue charts the explosive friendship between a ferocious, wise-cracking teenager and an elderly East End widow (both skilfully brought to life by Rosie) which blossoms over stolen library books. Mischievous activist pensioner Glenda is hell-bent on leaving a political legacy and saving Amy from the Tory scrapheap because, as she says, ‘there’s nothing more terrifying than a teenager with something to say.’ Spine is produced by new company Foolscap in association with Soho Theatre.